In the early morning hours of February 14, 2013, Oscar Pistorius (the Blade Runner) shot dead his girlfriend Reeva Steenkamp in his own home much to the public’s surprise. Surely there must be an explanation for such a horrible event. He was a beloved athlete and an inspiration to many around the world, including myself. 16.4 On the 13th of February 2013 Reeva would have gone out with her friends and I with my friends. Reeva then called me and asked that we rather spend the evening at home. I agreed and we were content to have a quiet dinner together at home. By about 22h00 on 13 February 2013 we were in our bedroom. She was doing her yoga exercises and I was in bed watching television. My prosthetic legs were off. We were deeply in love and I could not be happier. I know she felt the same way. She had given me a present for Valentine’s Day but asked me only to open it the next day. 16.5 After Reeva finished her yoga exercises she got into bed and we both fell asleep. 16.6 I am acutely aware of violent crime being committed by intruders entering homes with a view to commit crime, including violent crime. I have received death threats before. I have also been a victim of violence and of burglaries before. For that reason I kept my firearm, a 9 mm Parabellum, underneath my bed when I went to bed at night. 16.8 I felt a sense of terror rushing over me. There are no burglar bars across the bathroom window and I knew that contractors who worked at my house had left the ladders outside. (The ladder being outside seems like a whole lot of extra thought process going on for the middle of the night.) Although I did not have my prosthetic legs on I have mobility on my stumps. 16.9 I believed that someone had entered my house. I was too scared to switch a light on. 16.10 I grabbed my 9mm pistol from underneath my bed. On my way to the bathroom I screamed words to the effect for him/them to get out of my house and for Reeva to phone the police. (He is too scared to turn on a light but not too scared to start screaming at an intruder?) It was pitch dark in the bedroom and I thought Reeva was in bed. (He had to retrieve his gun from under their bed yet he never feels for her or looks for her while he is reportedly yelling for her to call the police? She never responds back to him and he doesn’t think anything of that? 16.11 I noticed that the bathroom window was open. I realized that the intruder/s was/were in the toilet because the toilet door was closed and I did not see anyone in the bathroom. I heard movement inside the toilet. The toilet is inside the bathroom and has a separate door. 16.12 It filled me with horror and fear of an intruder or intruders being inside the toilet. (Why would a violent intruder go in to a small bathroom where there is no way to escape?) I thought he or they must have entered through the unprotected window. As I did not have my prosthetic legs on and felt extremely vulnerable, I knew I had to protect Reeva and myself. I believed that when the intruder/s came out of the toilet we would be in grave danger. I felt trapped as my bedroom door was locked (Couldn’t he just unlock it from inside the room?) and I have limited mobility on my stumps. 16.13 I fired shots at the toilet door and shouted to Reeva to phone the police. She did not respond and I moved backwards out of the bathroom, keeping my eyes on the bathroom entrance. Everything was pitch dark in the bedroom and I was still too scared to switch on a light. Reeva was not responding. 16.14 When I reached the bed, I realized that Reeva was not in bed. If the room is still pitch black how does he realize within seconds that she is not there, and why would she be there if he had just shot off 4 rounds in the bathroom. Most people would be up and out of the bed after that happened). That is when it dawned on me that it could have been Reeva who was in the toilet. I returned to the bathroom calling her name. I tried to open the toilet door but it was locked. (Why is the bathroom door locked in the middle of the night?) I rushed back into the bedroom and opened the sliding door exiting onto the balcony and screamed for help. (why the need to open the door? he could have screamed from the open bathroom window, he could have hit the panic button, called a security guard, etc.). 16.15 I put on my prosthetic legs, ran back to the bathroom and tried to kick the toilet door open. I think I must then have turned on the lights. I went back into the bedroom and grabbed my cricket bat to bash open the toilet door. A panel or panels broke off and I found the key on the floor and unlocked and opened the door. Reeva was slumped over but alive. 16.16 I battled to get her out of the toilet and pulled her into the bathroom. I phoned Johan Stander who was involved in the administration of the estate and asked him to phone the ambulance. (Why not just call the ambulance or police directly?) I phoned Netcare and asked for help. I went downstairs to open the front door. 16.17 I returned to the bathroom and picked Reeva up as I had been told not to wait for the paramedics, but to take her to hospital. I carried her downstairs in order to take her to the hospital. On my way down, Stander arrived. A doctor who lives in the complex also arrived. Downstairs, I tried to render the assistance to Reeva that I could, but she died in my arms. 16.18 I am absolutely mortified by the events and the devastating loss of my beloved Reeva. With the benefit of hindsight I believe that Reeva went to the toilet when I went out on the balcony to bring the fan in. I cannot bear to think of the suffering I have caused her and her family, knowing how much she was loved. I also know that the events of that tragic night were as I have described them and that in due course I have no doubt the police and expert investigators will bear this out. Why were there two cell phones in the bathroom? Why is there one shell casing in the hallway? If there was a supposed intruder in the bathroom, via the ladder/window, why are the dogs right outside not barking and security alarm not tripped? These are just a few of the many questions that we all have that will surely be addressed at trial. Unlike the justice system in the United States, South Africa keeps much of their trial evidence guarded until trial so there are many details that have yet to come out. Judge Thokozile Masipa – she will preside over the case and give the verdict. There are no jury trials in South Africa. She will have two assessors/advisors to discuss the case with, but ultimately she will be the only one to decide Oscar’s fate. Unlike a typical jury verdict, the judge will have to explain and justify her ruling after it is given. 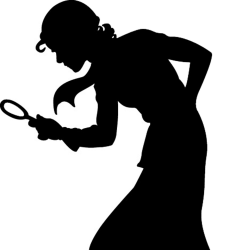 Botha Hilton – the police detective who initially investigated the case and was later removed because of his own legal problems. Colonel Van Rensburg – lead investigator. 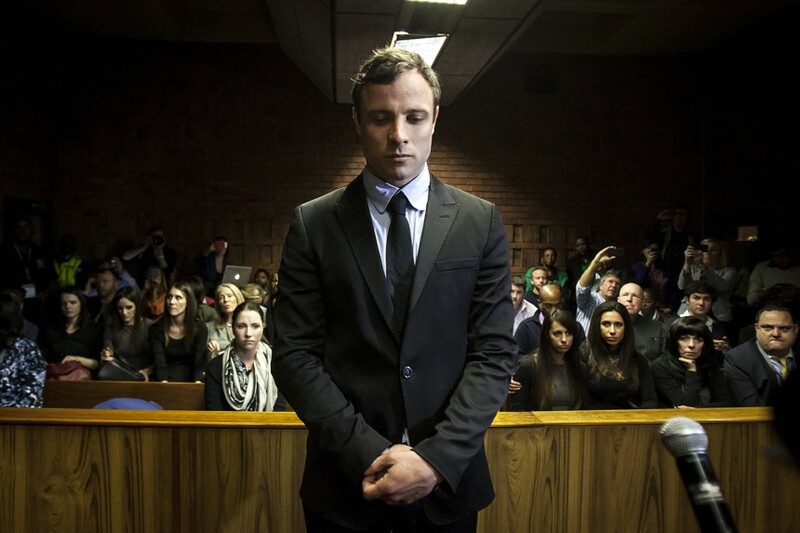 If Oscar is found guilty of premeditated murder than he faces a mandatory life sentence per South African law. If he is found not guilty, then he still faces a lesser charge of culpable homicide. 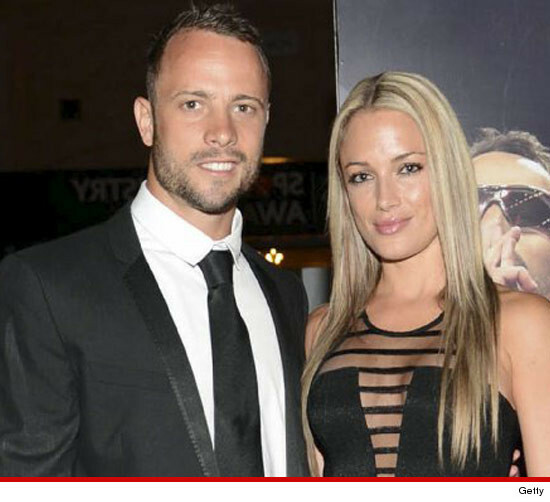 He does not deny shooting Reeva and does not claim that it was in self-defense. Rather, he claims that he mistakenly thought she was an intruder. His defense is that all of this was a terrible mistake. The court needs to decide if it was reasonable that he acted in the manner that he did. Shooting 4 times through a closed door when you don’t know who or what is behind it, is pretty irrational and extremely negligent. I’m not sure how he can reasonably justify this. The defense will no doubt discuss at length his life-long battle with fear, but the ruling will be based on what an “ordinary, objective” person would do in those circumstances. Just because you have irrational fears doesn’t necessarily justify excessive use of force. I believe he has a difficult battle ahead of him. Having been an executive at Oakley for the past decade I have had the opportunity on many occasions to interact with Oscar. We have spent hundreds of hours together, in fact, over the course of years of corporate relationships between Oscar, Oakley, and Ossur. I would consider us to be friends, although I never received a Christmas card ;-). If you were to inquire with him about me, I have no doubt he would also consider me a friend. I had the opportunity in one instance to see his interaction with Reeva within a few months of this tragedy. I can say honestly that it was what you would expect from two people who were in love. That in mind, I am clearly not unbiased in my views of this horrible situation. To me, Oscar was always cool, calm, collected, down-to-earth, and not someone capable of murdering his girlfriend over a dispute or an argument even if it was heated. That’s just not the type of person he is. Although I can’t answer all of the questions, I do feel that I may have a unique perspective and believe there are compelling arguments against what the prosecution is presenting. A person has a fan on the porch to draw the cooler outside air into the house/bedroom. You place the fan at the sliding door opening and it pulls the outside air in. Many houses in RSA do not have air conditioning, even in upper class developments. I do not know if this is the case of his house, but even for those of us in the U.S. with a/c’s, it is many times preferable to use a fan to draw in fresh air instead of running the a/c. You use the fan at night after the air has cooled off and you wake up sweating. Remember, February in RSA is summer so the days are quite warm, equivalent to our August in the U.S. He believed for one reason or another that she was still in bed. Maybe the covers were bunched up in a way that made it appear, in low light, that she was still there. Maybe the pillows were positioned in such a way that it appeared that she was still there. When you first wake up from sleeping, there are many things you think you see that may or may not be there, especially in low light. He may have already had some predisposed feeling that someone was in the house – maybe he just dreamt about it and upon waking he was left with the sense that his dream may have been more reality. Again, if this was part of his concern upon waking, whether it was conscious or unconscious, there was an underlying fear of an intruder and in his brain, at the time, it calculated that there was a means for an intruder to enter the bathroom using the ladder. This makes sense to me, actually. I have woken up before due to noises in my house, thinking someone may have intruded, and my first instinct is to keep it as dark as possible so that they do not know where I am. However, instinctually, you will scream to at least try to scare them away. I am under the impression that the balcony door was closed until he got up to move the fan in and turn it on. It is not clear to me how he noticed that the bathroom window was open at this point. Oscar has limited mobility on his stumps. He moves much slower and would be much more vulnerable to an attack. He is also more than two feet shorter without his prosthetics. A lock on his door may have been higher than he could easily reach without his prosthetics. In the heat of the moment this must have felt like his only option. He had been yelling into the bathroom trying to get a response, and there was none. That indicated that there was an intruder, in his mind, and not Reeva. She would have responded. Turning on a light wouldn’t have helped the situation at this point. The toilet door is closed, and, well, it is a better door than a window. Turning on a light in the bathroom wouldn’t have resolved who was in the toilet. There could be many explanations for this. If an intruder were in the toilet, having come through the window, a first thing to do may be for them to lock the door to get their bearings, prepare their weapon, or figure out their next move without being accidentally walked in on. In that vein, Reeva was probably dropping a deuce or changing a tampon, something she didn’t want Oscar to walk in on accidentally. These are two love-birds who aren’t ready to share all of their “most intimate” details yet. So, she locked the door. Is it a double-lock door? Do you need the key to lock/unlock it from either side? This is not that uncommon. Maybe she was going to grab a water from the fridge after she was done in the toilet and the keys were on the same ring. There are just so many possibilities. The emergency services do not respond in RSA like they do here. You may be on the phone for 10-15 minutes before reaching an operator. Again, this makes sense to me to enlist someone else’s help in trying to reach emergency services so that he can focus his energy on trying to help Reeva. When in the U.S. would 911 ever tell us to move an injured person and take them ourselves to the hospital? Never. This is indicative of the typical response in RSA. It is a much different atmosphere – it is safer/faster to move your shot/bleeding girlfriend from your house into your car and to the hospital than to wait for an ambulance to show up. He may have been trying to contact whoever he could at that moment. She may have had some contacts in her phone that he did not in his. These were likely brought in after he realized what was really happening, not during the initial confusion. They appeared to have the same phone; he may have accidentally grabbed hers the first time or grabbed both not knowing which was which. It could have easily been kicked accidentally when Oscar was moving from room to room, especially in low light. When he removed her from the toilet room, one casing could have been pushed away. I wouldn’t read too much into the location of this casing. There were four bullet holes in the door that appear to have all come from the same location. If there was a supposed intruder in the bathroom, via the ladder/window, why are the dogs right outside not barking? It’s the middle of the night, were the dogs sleeping? 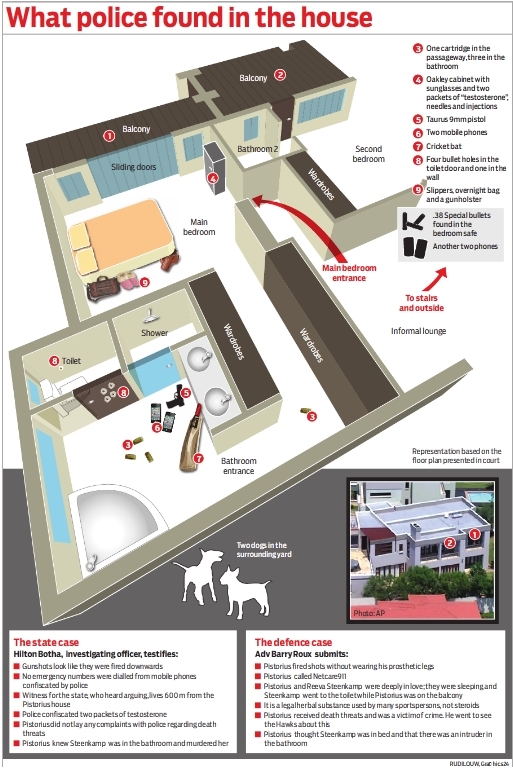 Could the intruder have already entered the house unnoticed before the dogs responded? Did the dogs already respond and bark, but stopped once the intruder entered the bathroom? In the heat of the moment you don’t trust things like “the dogs should be barking” for you to calculate if there is an intruder. As I mentioned, I am completely biased in this case. I do not believe Oscar would have done this intentionally. It just doesn’t make sense with what I know of him and of their relationship. Of course, there are always surprises and things that we aren’t aware of in private relationships, but there are usually signs before something like this happens that, when we look back, we think, “oh, it makes sense now.” In this case, I just don’t see those signs, but again I don’t want to see those signs, and I know that he deeply cared for Reeva. I will keep an open mind throughout the trial and see what the evidence proves or doesn’t prove. Not knowing the legal system in RSA, it is unclear what the possible outcomes are here. I don’t know that anyone could ever say that his actions were justified. In the end, an innocent girl lost her life, and there really can’t be any justification for that in this case. His underlying fears may have led to what happened here, but in the eyes of the law there, I don’t know if that reduces his culpability. I know he does not want to spend the rest of his life in jail, but I think what is most important to him is that people know that he did not and would not do this intentionally. He had a lot of fans around the world, and that is something he always talked about fondly and took very seriously. He was an inspiration for many people and I believe what hurts him most about this entire situation is the feeling that he has let those people down. Thanks to my friend R.T. for forwarding me your blog about this. We had already talked about this case quite a bit and she knew of my acquaintance with Oscar. I look forward to following it through your blog as I just can’t commit the time to reading or watching all of the trial coverage. Thank you, Stephen, for your thoughts and personal insights! I appreciate your perspective and will marinate about some of the points that you make. I can’t fathom this situation happening to somebody I know and respect, and then having to read and hear about it everywhere you go. People talking about him as if they know him. I can empathize with the position that you are in. I greatly admired Oscar after seeing him in the Olympics and thought he was such a cool, inspirational guy. I was sad to hear that his life took this turn. And sad that somebody so young had to die. I have followed trials for many years now and regardless of what my emotions tell me, I always seek out the facts of the event and consider what has been proven or not proven based on law. And of course, I have to apply my own common sense. Even though I have my initial thoughts about the case, as we all do, I will await the rest of the details before I make up my mind completely on this one too. And if I change my mind along the way, I will absolutely write about it and explain why. I do have some serious concerns about his account of the evening. I understand that people have been killed in their own homes accidently by guns, it certainly does happen, but I currently believe that there are too many odd things about that night that have to be explained away to really make sense. It’s not like he was home alone and Reeva walked in and surprised him and he shot her. He knew she was there. Shooting 4 times through a closed bathroom door without knowing who is behind it, after you simply heard a noise in the bathroom, is a very extreme measure to take. The defense really needs to explain this. Simply thinking she was in bed and not confirming that before blowing away a bathroom door doesn’t sit right with me and obviously doesn’t sit right with many. He had to get the gun from under the bed – why not just shake the bed or wait for her to respond? He was right there. It’s just not what I would consider plausible. Just because something is possible, doesn’t also make it plausible. But I want the court to prove it to me. It can’t just be a suspicion or something that doesn’t sit right. I want to know exactly what all of the witnesses heard and when they heard it. Lining up all of the witness testimonies will be very telling. Then of course there are forensics. What was Reeva wearing (is it the same outfit she had on when she arrived), what else was in the toilet room with her, what do the phone records show, what does the blood spatter show, where was she inside of the toilet room when he shot her, what is the trajectory of the bullets and what can the medical examiner surmise from them? All of those things will tell the story. So we wait and see. Thank you for checking in to get updates throughout the trial. And please feel free to comment along the way. That is always my favorite part of blogging – the discussion! Heat of Passion……..he admitted he shot her! Stephen, I understand that you find it difficult to believe that someone you consider to be a friend would intentionally shoot his girlfriend. I would be interested to hear if any of your opinions have changed now that Oscar has testified and more detailed evidence has come to light?